Built for You. Built for Now. This is E-commerce Fulfillment from TAGG Logistics. Get ready to accelerate your sales. Any system, any shopping cart. Fulfillment at the speed of now. From order to door in just 1-2 days. Built for the way you sell. Any system, any shopping cart. Easy integration every time. 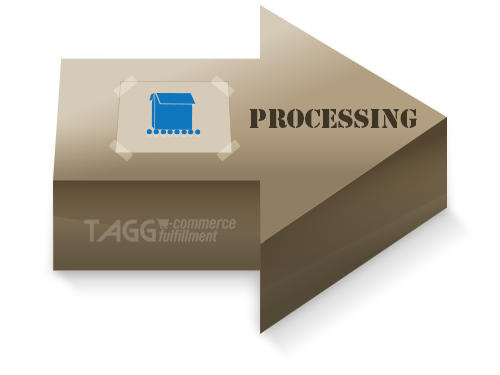 Your customers want it now, and TAGG delivers. Your ecommerce orders will move quickly from shopping cart to shipping, with our leading edge warehouse management system streamlining every step. More than a warehouse, technology tailored for you. We’re not just moving boxes here. We’re helping you deliver the experience your customers expect. So they’ll return to your website again and again. Delivering the expertise to ship faster, cheaper, smarter. How fast is now to your customers and you? That’s how fast we deliver at TAGG. Our transportation management system automates every shipping decision, based on the criteria you select. You can route shipments based on time-in-transit, cost, or a combination of the two. From shopping cart to your customer’s door, this is the e-commerce fulfillment solution built for now. Your e-commerce orders will move quickly from shopping cart to shipping, with our leading edge warehouse management system streamlining every step. Regardless of the shopping cart you use, we’ll communicate with it seamlessly. Fulfill and ship your orders the same day received. And synchronize your orders and inventory, so you’ll always know there’s product on the shelf—ready to ship.